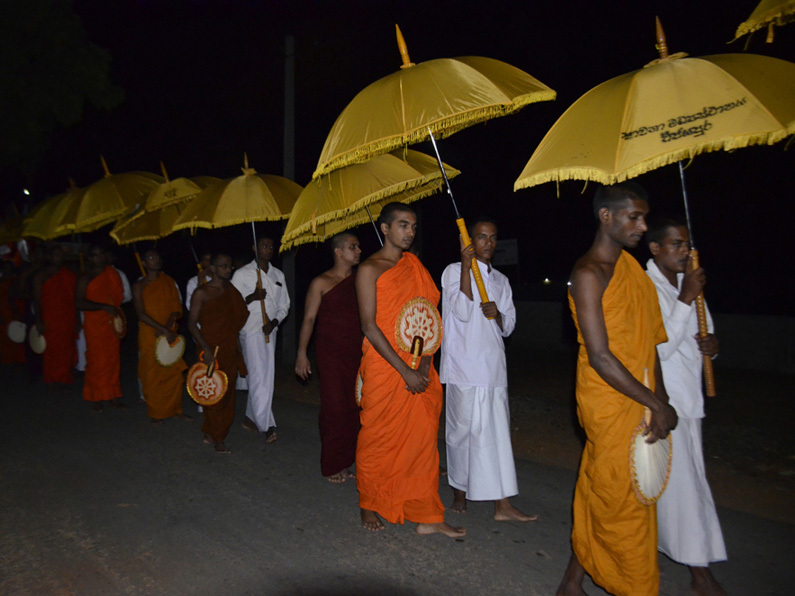 Sri Lankan soldiers took part in a religious ceremony last week to unveil a newly constructed Buddhist stupa in Jaffna, reports official military media. Troops and senior officers took part in an all-night chanting ceremony and received blessings from Buddhist monks as they unveiled the stupa, constructed at the ’55 Division temple premises’. More ceremonies took place the following day. “14 Buddhist monks, Brigade Commanders, Commanding Officers of under command Battalions, troops of each Brigade were also present at this meritorious event,” reported an official army website. The latest construction comes after a US State Department report warned the continued construction of Buddhist statues in non-Buddhist areas in the North-East has left Tamil civil society with the perception of “Buddhist Sinhalese religious and cultural imperialism”.